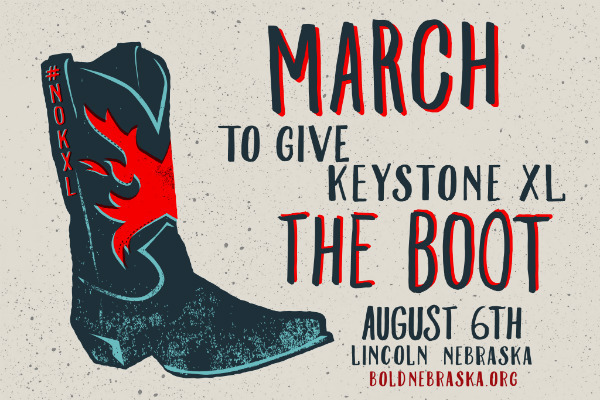 Bold Nebraska has organized a conference call for Pipeline Fighters, landowners and #NoKXL activists this Thursday evening, July 13th, to discuss the final public hearing on Keystone XL scheduled for July 26th at the Ralston Arena in Omaha, the Aug. 6th “March to Give Keystone XL the Boot” in Lincoln, and the upcoming week of intervenor proceedings at the Public Service Commission Aug. 7-11. Dial in to join us at 6:00 p.m. CT on Thursday for a Keystone XL conference call update from Bold’s Jane Kleeb. We have outnumbered the pro-KXL supporters by 3-1 or more at the recent public hearings on Keystone XL, and it’s critical that we turn out in full force for this final Public Service Commission meeting on July 26th in Omaha. This is your last chance to speak out on the record against Keystone XL — as the “intervenor” proceedings in August will be open to the public to attend and observe, but no public testimony will be taken during that week. WHEN: Wednesday, July 26, Doors: 9:00 a.m. | Hearing: 10:00 a.m. – 6:00 p.m. DETAILS: RSVP and share details of the hearing on Facebook. 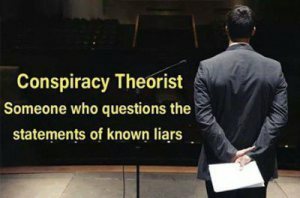 TS Radio: FACEUS.org returns–WHAT is going on in Colorado?? Join us Sunday evening February 28, 2016 at 6:00 pm CST! 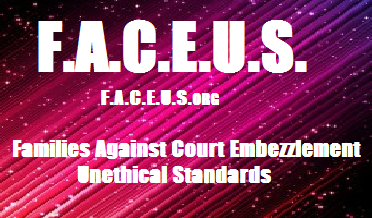 Embezzlement Unethical Standards (F.A.C.E.U.S.). F.A.C.E.U.S. began when we found ourselves in Probate Court. Many labor under the illusion courts promote justice. The reality is, as the law is practiced today the word justice is little more than than a mask behind which court authorized embezzlement takes place. Many individuals and families find themselves in court entanglements only to discover too late not only is there no justice in sight, but the Court system itself works more like a criminal extortion racket than in the service of Justice. Our friends at F.A.C.E.U.S..org, Luanne and Robin return to update listeners on what is happening in Colorado. Bills are showing up at an amazing speed! Gosh! Even the BAR Association is writing one or two! If that didn’t make your hair stand on end, not much will! Luanne and Robin will also talk about what they have accomplished so far and what it took to get it done. It would appear the legislature in Colorado has gotten the message!~ This system of judicial abuse and tyranny has got to change! Please call in during the last hour with your questions or comments. We want to hear what you think!! Western Colorado’s North Fork Valley is Colorado’s only rural winery region and has the state’s highest concentration of organic farms and ranches. It is an intimate mixture of private, small family farms–many certified by the USDA as organic–and public lands, including many managed by the BLM. The BLM is an agency within the U.S. Dept. of Interior that manages most of the public’s minerals. BLM once wrote a land use plan for the area, twenty-five years ago. Now it seeks to use that plan–even though it never even considered oil and gas development in the North Fork to be much of a possibility–to open the area for drilling and fracking. AM radio 1360: Colorado Springs to Cheyenne, Wyoming and maybe even a little bit of Nebraska! Marti Oakley of the PPJ Gazette will be Randy’s guest August 19th We’ll be talking about everything!